Exposed soils, rills and gullies indicate an erosion problem. 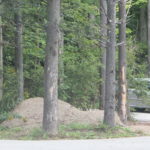 A recent visit to a vacation property, poignantly brought attention to the visible signs of soil erosion. 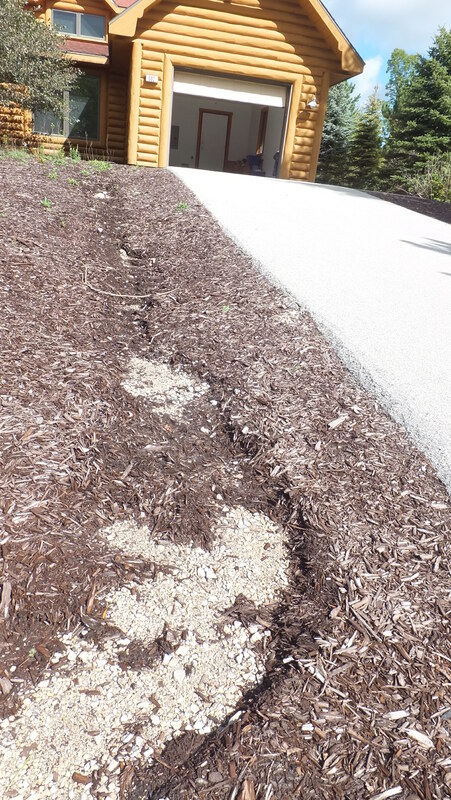 This residential resort has attempted to install erosion control features and those features are actually causing more damage. Roads on the property are breaking up because water is undercutting them and they will need early replacement or repair. Mulch and road shoulder gravel is being washed away causing the maintenance staff extra work. 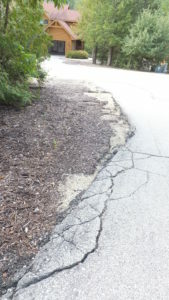 Debris washed onto driveways and eroded areas of the landscape make the property look distressed. One of the reason we are seeing more erosion on many properties is because they were built during the prolonged drought that extended back to the 1990’s and above average rainfall has returned. There are other reasons for excessive erosion too. Many landscapers and excavators are used to working on flat or low-slope properties and fail to do the necessary ground work to control water flows. More development is occurring in hilly and environmentally sensitive areas. There are fewer prime properties available that offer flat, easy to build on land. Knowing the signs of erosion damage and the signs of failed erosion control practices are really important first steps. 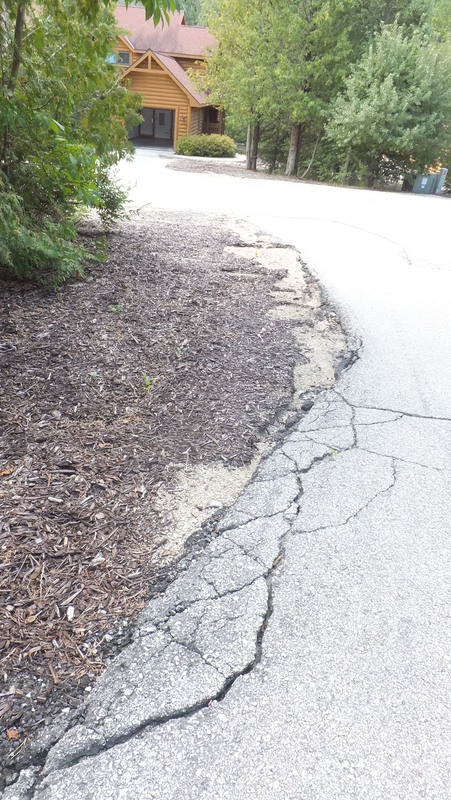 Undercutting and wet soils under paving results in premature failure. 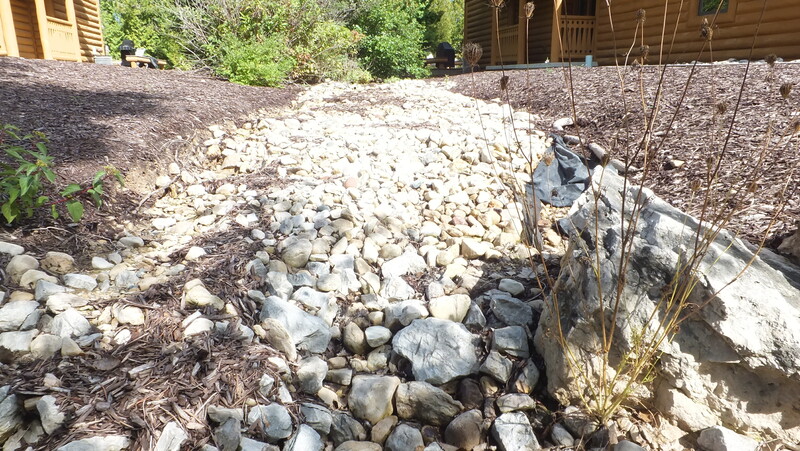 Rills (small channels) and gullies are formed that wash away the top layer of soil or mulch. Edges of roads are exposed, pavements crack and break off at the edges, and shoulder material is washed away. Water runs across sidewalks, roads and driveways and deposits debris and soil on those surfaces. 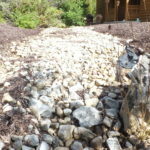 Previously installed erosion control materials, like riprap (rocks laid on the surface), begin to wash out and expose landscape fabrics. Water in basements and excessive running of sump pumps. Down slope ponds that have excessive weed and algae growth caused by water carried soil, organic materials and fertilizers. Once you understand what to look for, what is the next step? Stay tuned for additional articles on erosion control and water control methods that really work. 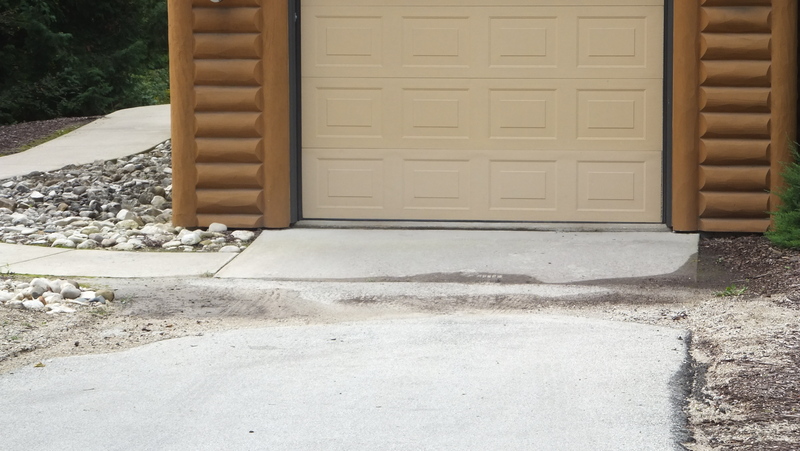 Eroding soils and debris are left on driveways. 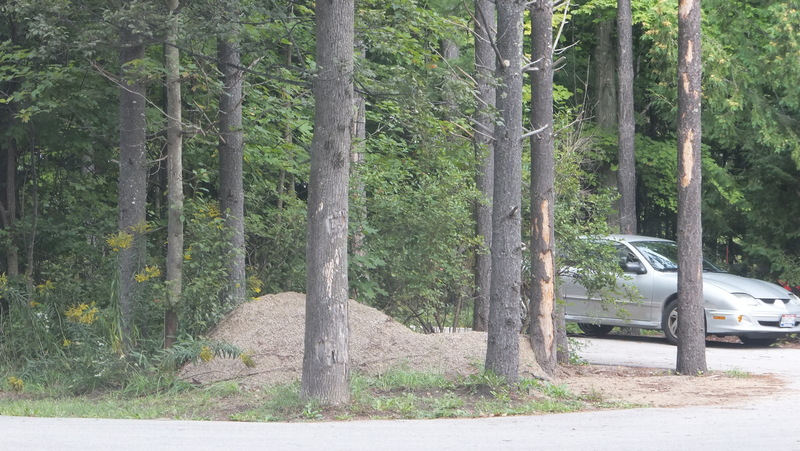 Storage for temporary road shoulder repair materials cause collateral damage by killing tree roots (and the trees) that are under the gravel. Traditional erosion practices begin to fail as organic materials build up in the rock, erosion fabric is exposed and water is channelized.